Being surrounded by the sea from three sides, it is only natural that Istria is among the most visited summer destinations in Croatia. The well-indented coastline provides over 300 km of beaches, enabling the visitors to choose according to their preferences. There is a beach for everyone in Istria; from pebble-covered shores to romantic rocky coves, sandy resorts ideal for kids and isolated destinations for naturists or romantic couples. The sea is pleasantly warm, magically blue and crystal clear everywhere. Many of the beaches are awarded with the Blue Flag, a symbol of preserved, safe and pleasant environment ideal for fun, relaxation and recreation. Sol Polynesia beach is situated in beautiful bay of the settlement Katoro near Umag. It is partly covered with concrete plateau and the other part is pebbly. Thick pine tree shade surrounding the beach provides a pleasant hiding place from the hot sun, and a wide choice of additional activities ensures fun for the entire family. The beach is surrounded by two pools, apartment settlement and a restaurant and is awarded with a Blue Flag. Brulo beach in Porec is perhaps the most beloved bathing destination of the area, situated in a protected bay and surrounded by the pleasant pine shade. With its rocky, concrete and pebbly parts, this beach offers something for everyone. Its numerous additional activities and perfect clearness of the sea are ensuring a Blue Flag award. 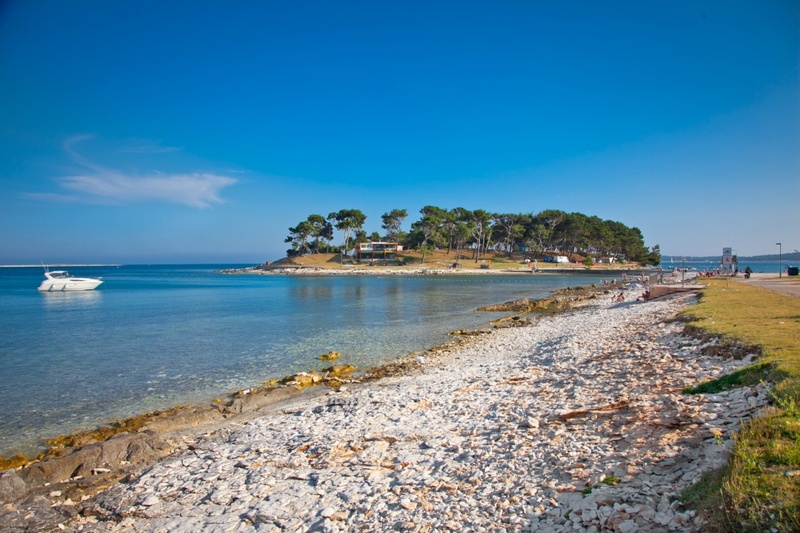 A beautiful Belvedere beach in Vrsar is covered with small pebbles and surrounded by the lovely pine forest. Awarded with a Blue Flag, it offers a possibility to rent a deck chair or a beach umbrella. Crveni Otok (The Red Island) is the biggest island of the Rovinj archipelago, connected with the neighboring islands Sveti Andrija and Maskin. You can find a variety of beautiful beaches there; from romantic rocky coves to crowded pebbly bays; and choose according to your preferences. 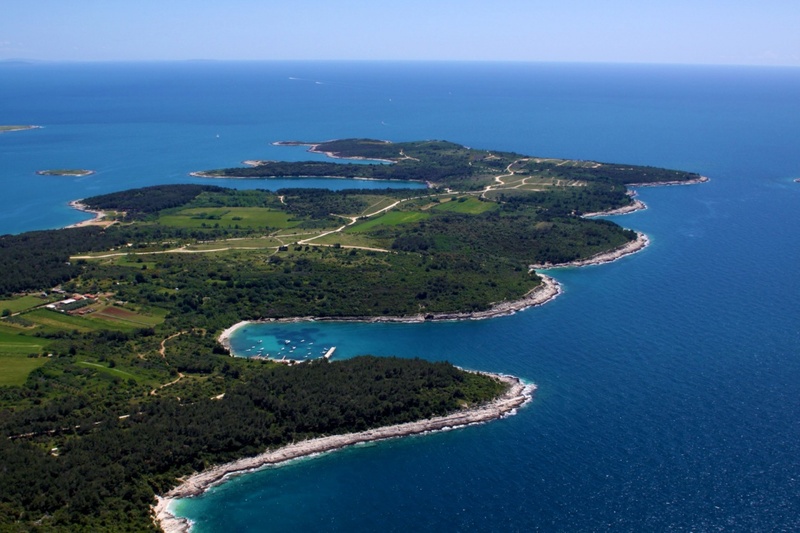 Lone Bay is part of the protected park forest Zlatni Rt (The Golden Cape) in Rovinj. Its pebbly shore is partly covered by the fragrant shade of the surrounding pine trees. It is suitable for families with children and offers numerous activities, such as wind surfing. 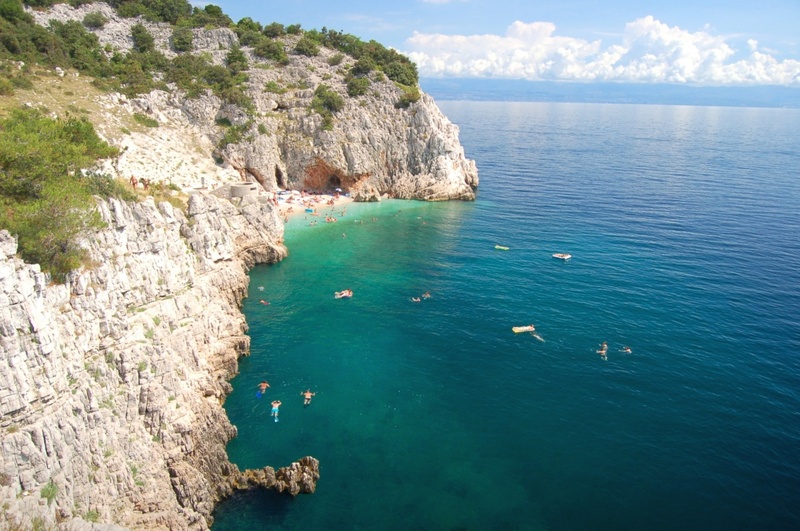 Pula is famous for its beautiful pebbly beaches, such as Ambrela and Havajsko, awarded with the Blue Flag and suitable for children due to their shallow waters and numerous additional services and activities. 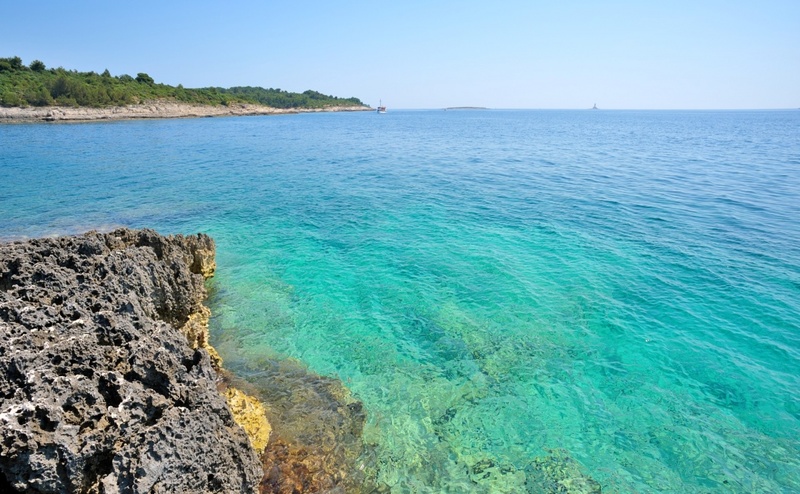 Medulin, a small town near Pula is a summer heaven, with its amazingly beautiful and diverse beaches. The most popular bathing resort is Bijaca beach, covered with sand and offering a wide range of additional services and activities. On the southernmost part of the Istrian Peninsula is a nature park, Rt Kamenjak (The Kamenjak Cape). Its perfectly clear sea and untouched natural beauties are attracting many visitors longing for a more peaceful vacation. Numerous coves and bays are hiding a variety of beaches, from sandy shores to rocky cliffs.